When it comes to judging a light stand, one of the key factors is whether you notice it while you are working. This is what I mean by saying having a good light stand can free your mind to work. Because in the past, I have had bad light stands that were either to wobbly, a pain to extend and adjust, and I have even had stands that just plain fell apart mid-shoot. But with a good light stand, you won't even second guess what you are doing and you won't need to pause to think things through. 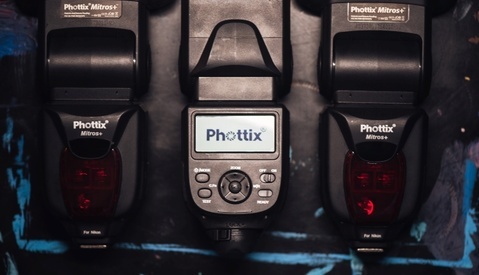 The Phottix Padat Carbon 200 is one of those good light stands. 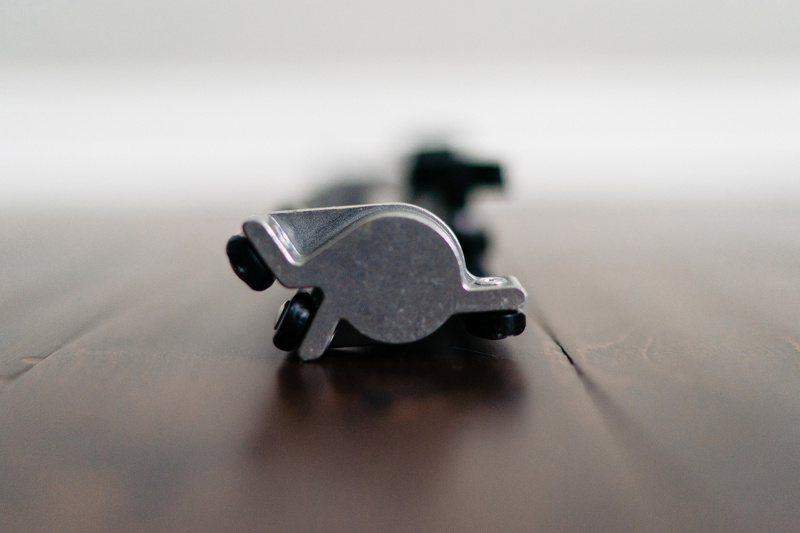 The stand has a reverse fold design, which basically means that when you fold it, the legs fold up instead of down. What this does is lets the legs and the main column of the stand lay directly next to each other when folded, allowing you have a smaller folded package while still letting you get some good height when fully extended. What I love about this light stand is the way the main column extends. 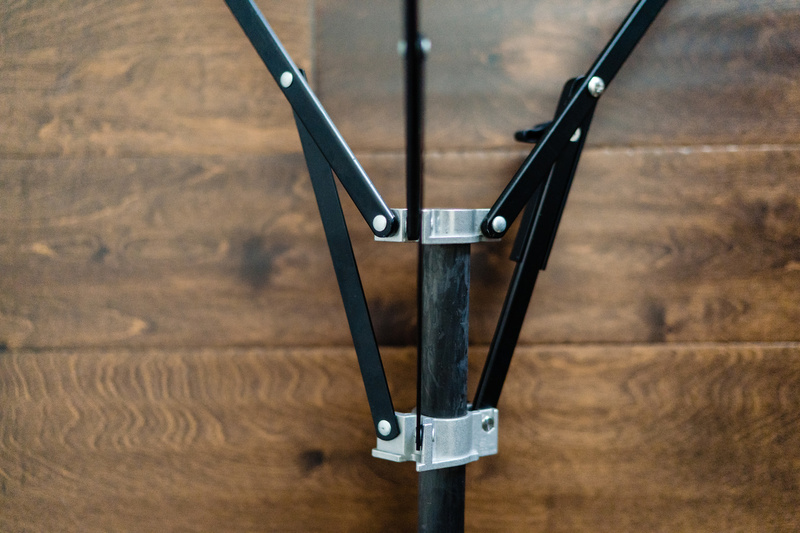 Instead of having to deal with those little screw type knobs found on other stands, this stand uses the same type of locking mechanism found on high-end tripods. This helps the overall design of the stand feel more compact and minimal. I have also found that after I'm done using the stand, I can bring my light down with a single hand by twisting with my palm and then holding the collapsing part of the column with my fingertips. In the past, I would always have to use two hands. One to twist the little screw and another to stop the light from crashing down. Another great thing about the design is that the main center column can also be fully removed from the main base. This is great for photographers that occasionally use lighting assistants. 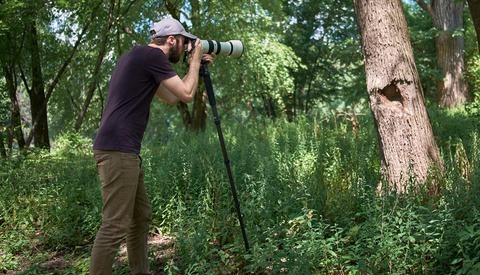 Now you have a stand for when you work on your own, but when you want an assistant to hold your light, you can simply convert the stand to a monopod. 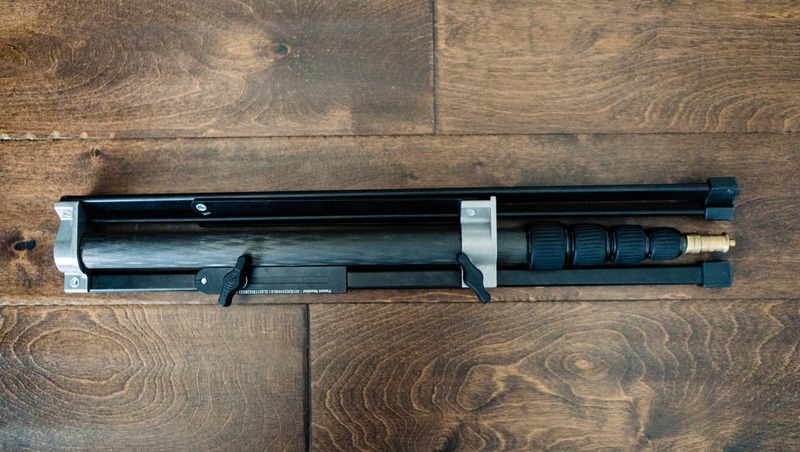 This means you no longer need to have both a light stand and a monopod depending on the situation. As for the specs, the Carbon 200 can reach a height of 6.6 feet yet folds down to small 19.5 inches. With its lightweight aluminum and carbon fiber construction, it weighs in at a mere 2 pounds. One of the best things about this light stand though is how it folds. While it is a reverse fold, the way it hinges is different than all other stands. Instead of all three legs folding the exact same way, they instead fold in slightly different directions. This allows the stand to fold much flatter than with the traditional folding legs found on other stands. In addition to the legs folding into a lay-flat design, one leg is also adjustable so that you can make it longer than the other two legs. 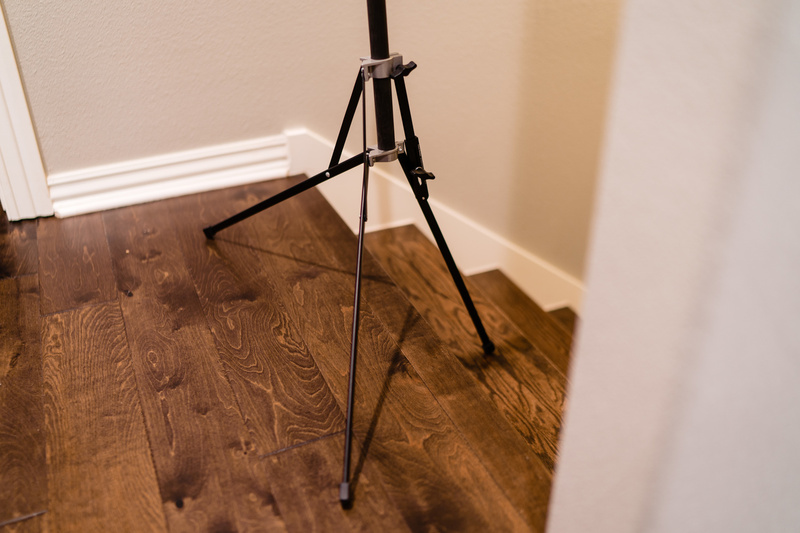 This is ideal for when shooting on uneven terrain and you can even place the stand onto a set of stairs. Try doing that with any old light stand! The only issue with this light stand is the price. It comes in at almost double the price of other similar stands at $150. But this shouldn't be too big of a surprise seeing as its built from aluminum and carbon fiber. If the price is an issue, there is also a full metal version that only costs $65. This version of the stand is the same design, but because of the materials, it weighs about a half pound more than the carbon fiber version. The size and weight of this stand make it ideal for travel and location photographers. I have easily been able to fit two into my carry on luggage while still giving me plenty of room for my clothes and other essentials. This is great because I hate needing to check my stands because if they don't make it to my destination, my shooting style would be fairly crippled. It's also small and light enough that it’s easy to carry around while on location or moving from one shooting spot to the next. For me, the max high of just under 7 feet is almost always perfect, but there are times I wish I could get a bit more reach out of it. Phottix makes an extension arm for this very reason, I just haven't needed the extra reach enough to justify purchasing it and carrying it around with me. But if you want something small and compact for travel but need more reach, the extension arm would be a great add-to-cart item. This extension arm can also be mounted vertically and horizontally. 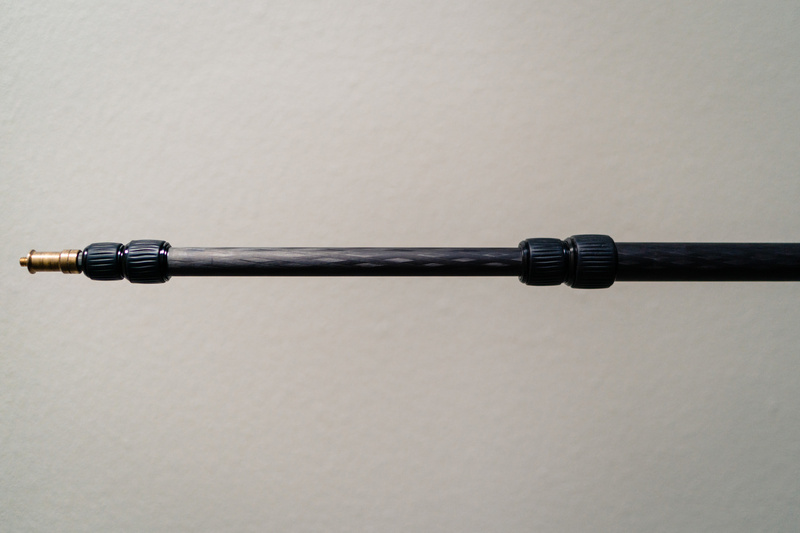 So in addition to giving you more reach, it could also double as a small boom arm for a small flash or microphone. In conclusion, I love this stand. It’s perfect for 90% of what I need it to do and it’s never given me a reason to pause and fiddle with it. So far its been with me to two different countries and 10 different states and shows no sign of wear and tear (even though I’m definitely not easy on it). It’s always been very easy to travel with and I love how light it is. While I could most likely get by with the metal version of the stand, I’m also a sucker for how awesome the carbon fiber looks. How stable is the stand? The legs look like they might not hold up to a full size strobe + modifier? I think they are rated for 3.5 pounds. So not meant for big studio lights and large modifiers. I use mine for an AD200 plus a verity of magmod modifiers. Using "exotic" metals does not make it any more usable. It makes it way more expensive though. Manfrotto has the 7'7" (a full foot taller), weigh a tiny bit more (2.1lbs vs. 2.6lbs) and has three times load capacity. Not to mention 1.1 meter footprint diameter. Cost almost half the price of the phottix. 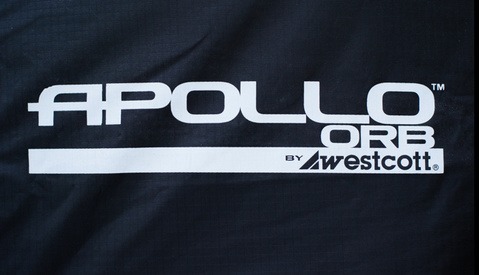 It has one advantage and its folded size. 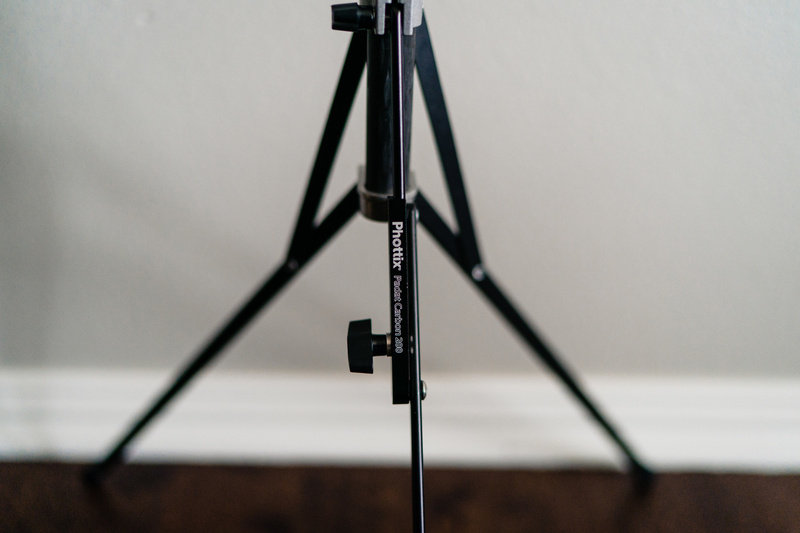 "Light stands are not a glamorous piece of gear"
Excuse me, but have you seen my polished C-stand? I think not. I mean, personally, all of my light stands are made of heirloom ivory. Looks like a ripoff of the Nissin LS-50C to me. Look closer. Nissin ls-50c doesn't have the lay flat design. If anything it is going for more like a Manfrotto copy look. I’ve looked up a variety of travel stands (that I actually use for video mounting Westcott FLEX led panels)—used the Manfrotto Alu stands as the Nano stands can only hold up 2.2lbs until I found the Matthews MERF stands. Has the better payload capacity and max height while just being a tad heavier than the Alu stands. I have 5 of them in a checked in luggage. I looked them up (the Matthews MERF) and they look promising. Good to know. Cheers. Thanks. I’ve been looking for something exactly like this.